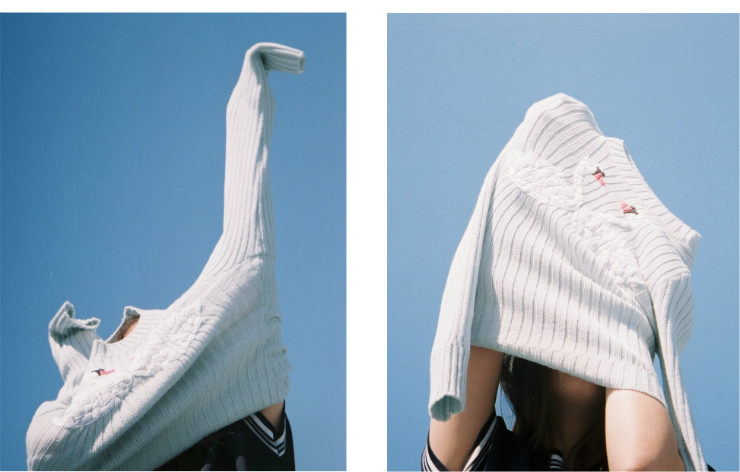 When I started thinking about the concept for the shoot with SIZ Brand, I knew I had to create something special to match the brand's ethos: a mix between tech materials and natural fibres and traditional techniques, such as embroidery. 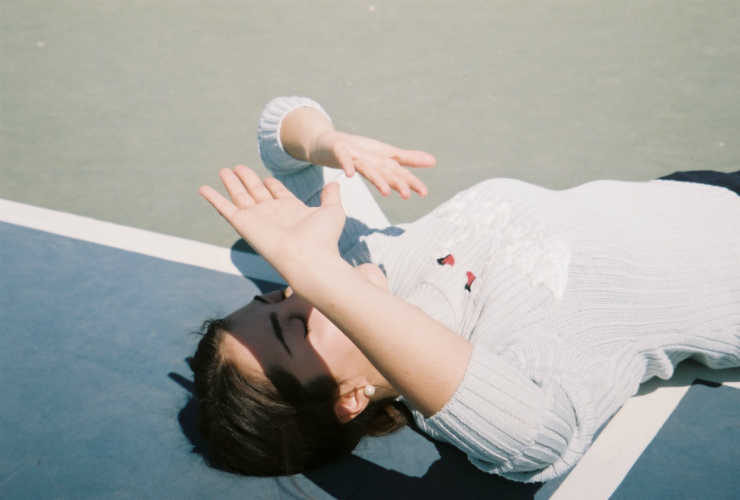 That's why it made sense to shoot in two parts: in film and digital photography. I've been experimenting a lot with film photography lately, I've been learning more skills by working with amazing photographers that teach me new techniques every time we are together. 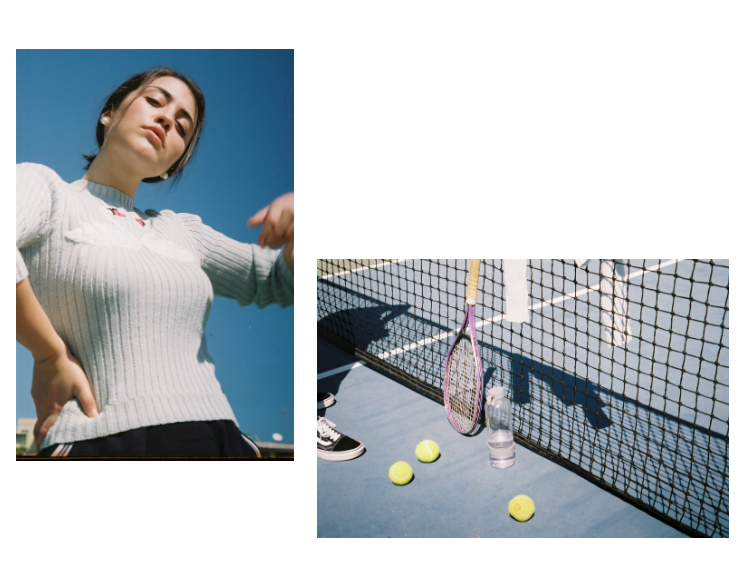 In this sense, I have to confess being super excited to explore the colours and textures of SIZ Brand's pieces against the tennis court, that presented itself as the perfect setting for this first shoot. 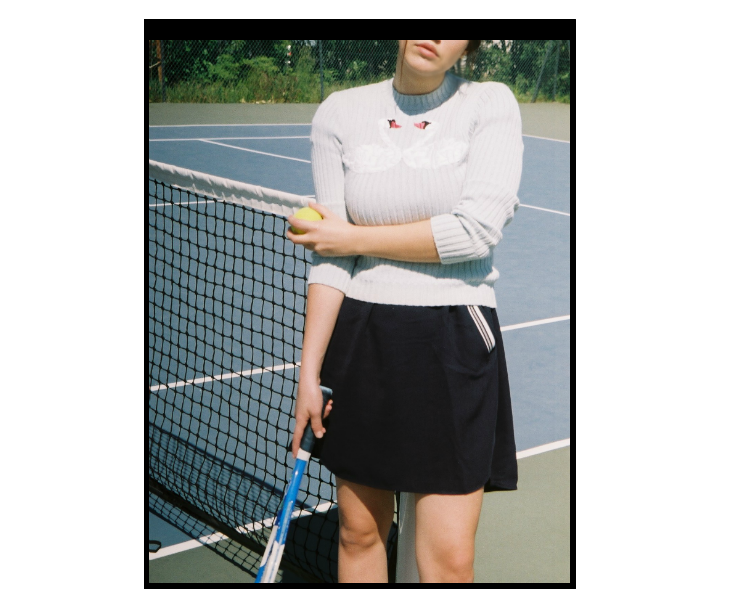 For the overall look, the inspiration was a mix of Carolyn Bessette's tennis attire and Alexa Chung's new brand Alexa. Hope you like it! Quando comecei a pensar no conceito para este editorial com a Siz Brand, sabia que teria que criar algo especial que combinasse com a identidade da marca: uma mistura entre materiais tech, fibras naturais e técnicas tradicionais, tal como o bordado. Assim, achei que faria sentido dividir o editorial em duas partes: analógico e digital. Tenho experimentado imenso com fotografia analógica. De dia para dia vou aprendendo novas técnicas ao trabalhar com fotógrafas fantásticas que me ensinam algo de novo de cada vez que estamos juntas. Por isso, estava muito entusiasmada por explorar as cores e texturas das peças SIZ Brand e o campo de ténis, que acabou por ser o espaço perfeito para este editorial, com a Sara. Para o look geral fui inspirada por um mix entre o guarda-roupa de ténis da Carolyn Bessette e na nova marca da Alexa Chung. Espero que gostem. Que fotos brutais! Estás fantástica, e gosto tanto da vibe da sessão!